The Ducks continue to wrangle with two key RFAs in Rikard Rakell and Hampus Lindholm at the time of this post. Rumours continue to suggest that one of those two, or Cam Fowler, might be dealt to save some money and create space for rookies like Shea Theodore. 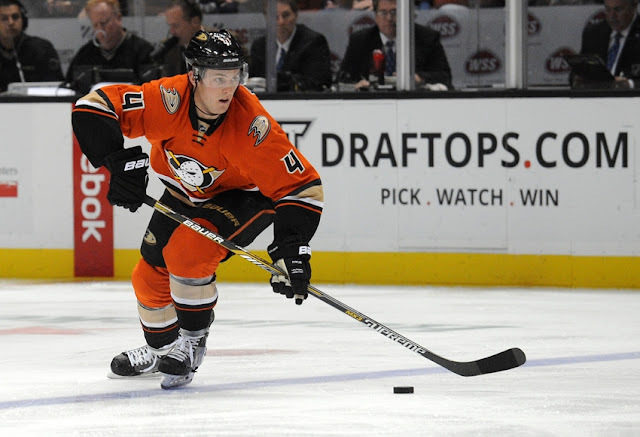 The Ducks also have a glaring need for top six left wingers, so expect the Ducks to scour the trade market. The Sharks have been one of the quieter teams in the rumour mill, which is saying something given the tumultuous situations of Patrick Marleau and Joe Thornton in recent years. It's believed the Sharks may look to move out some of their forward depth for assets, and Matt Nieto is considered one of those possibilities. The Sharks also lack a veteran backup goaltender, so if nobody in the organization steps up, they'll turn to the market. If the Kings plan on using the trade market to load up for another Cup run, they're going to have to find the cap space somewhere. It's believed GM Lombardi is looking to offload bottom six players such as Kyle Clifford, Trevor Lewis, Dwight King and Jordan Nolan. Dustin Brown is another grinder they'd love to jettison, but his salary is far too burdensome for any team to take on. Is this the year the Oilers finally turn things around? Perennial bottom dwellers for the last decade, countless Oilers have found themselves in rumour talk. Prominent among those still in the rumour mill is Nail Yakupov, who has worn out his welcome in Edmonton and asked for a trade. It's no secret the Oilers have dangled Ryan Nugent-Hopkins for defensive help, generating some interest from the Wild and Predators, among others. Jordan Eberle is seemingly always in the rumour mill, but he may have survived just long enough to stick around on Connor McDavid's wing. While the Oilers took a positive step in acquiring Adam Larsson, it's clear they aren't done on the blueline, and names such as Travis Hamonic, Kevin Shattenkirk and Jonas Brodin have emerged as possible trade targets. If the Oilers end up deadline sellers, Matt Hendricks is the only noteworthy UFA that could be of interest. The Flames were aggressive on the goalie market, adding both Brian Elliott and Chad Johnson, and having previously expressed interest in Ben Bishop and Sergei Bobrovsky. This season could go either way for the revamped Flames squad, but if they fall out of it, blueliners Dennis Wideman and Deryk Engelland are pending UFAs to dangle. Fewer teams have been as busy in the trade market as the Coyotes. Emboldened by an ownership group willing to spend, neophyte GM John Chayka has pointed the team in the right direction. The 'Yotes are among the teams interested in Jacob Trouba, who would fit in nicely to a blueline that already boasts Oliver Ekman-Larsson. Trade rumours and KHL speculation surrounds RFA Tobias Rieder, who at the time of this article remains unsigned. Big center Martin Hanzal has seen his name in rumours for months, and if the Coyotes fall out of the race, expect him to be a top trade deadline target for contenders. The Canucks enter the season with every intention of pushing for a playoff spot. If they don't, though, they'll have a lot of veteran players to consider moving out at the deadline. Ryan Miller has seen his numbers decline in recent years, but his UFA status might make him interesting to a team in need of goaltending. Up front, Alex Burrows could be a decent trade chip if he has a productive season. Other players such Jannik Hansen and Alex Edler have been in trade rumours over the last few years, and could be on the way out if the team finally pivots towards a rebuild. Stay tuned for our Atlantic, Metropolitan and Central Division previews in the coming days.